On 13th January 2015, I noticed these footprints in the snow on our drive (NC1331). The y-shaped pattern is typical of rabbits and hares. The smaller impressions in line at the rear are those of the front feet and the larger ones alongside one another at the front those of the hind feet (try that on the carpet!). The size of the stride and impressions indicates rabbit, which is an oddly scarce mammal at Nedd nowadays. 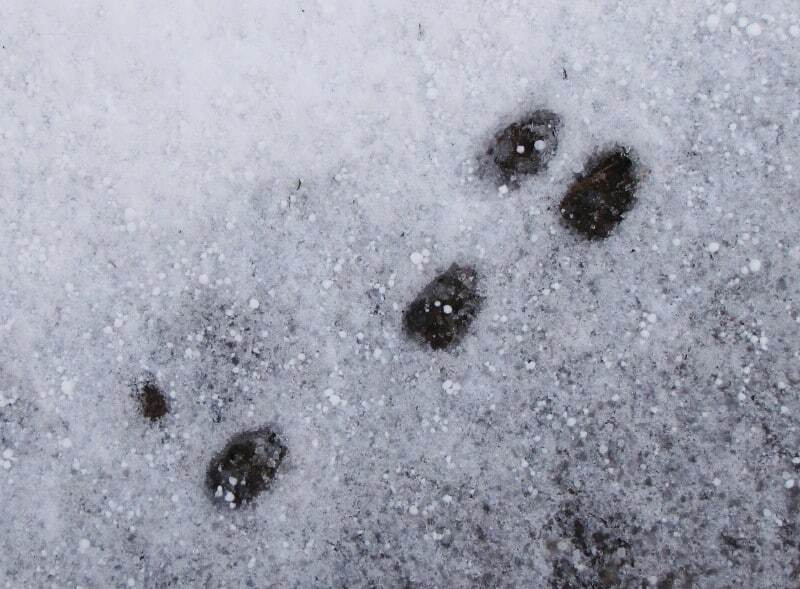 My records show sightings or signs up to four times a year from 1991 to 1999, often in the winter, when the tracks are obvious. I have a note of tracks in the snow on 7th February 2001, but none since. We shall hope that our remaining brassicas do not attract their attention! The populations of rabbits in ‘hot spots’ on the limestone and around the coast of Assynt have fluctuated greatly in the past few decades, probably in response to the incidence of myxomatosis. However, the once burgeoning population around Inchnadamph disappeared very suddenly about 2010 and it does not yet seem to have recovered, with likely knock-on effects on predators such as golden eagle, buzzard, stoat and wild cat. There is a suggestion that another, much more lethal, disease was involved in this unusually drastic change.